4 Pics 1 Word Italian pasta. Stapler. Surgeons. Staples. 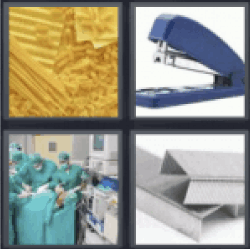 4 Pics 1 Word Italian pasta, Stapler, Surgeons, Staples.